The year 2007 has been a blast for the Remaniax. Not only we did some great remixes but there we’re also three of our own releases! One of those own productions as well as one of our remixes even reached national charts! 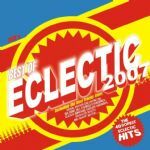 To celebrate the last and hopefully an even better new year we’d like to offer you the “Remaniax 2007 Yearmix” containing 10 of our best tracks. And as if that isn’t enough yet you will find a sneak preview for 2008 at the end of the mix! A very happy new year to all of you!